Members of the community came together in July to support the Dunes Center’s educational programs at their annual fundraiser gala. The event was sponsored by local businesses and organizations including Aera Energy, Community Carpenters, and Chevron. 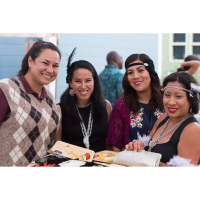 Guests dressed in period attire and enjoyed jazz and signature cocktails to celebrate the arrival of the Dunes Center’s newest addition – a 300-lb plaster sphinx head left behind in the dunes from Cecil B. DeMille’s filming of The Ten Commandments in 1923. The new pieces join other interactive exhibits in the Guadalupe-based natural history museum telling the story of the Guadalupe-Nipomo Dunes Complex. Artifacts from DeMille’s forgotten set are considered a significant piece of American history due, in part, to the fact that the set was designed by Paul Iribe – an acclaimed artist referred to as the father of the Art Deco movement. In addition to its famous designer, DeMille’s “Lost City” is the only remaining movie set from early cinema. Many Guadalupe natives were a part of DeMille’s extravagant project in the spring of 1923, either employed as extras or renting their livestock to DeMille to be used in various scenes – a part of the town’s history that can be seen at the Dunes Center. 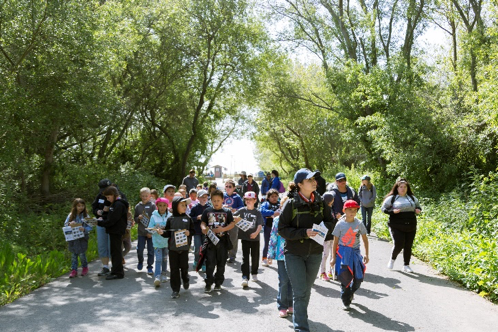 In addition to the museum, the Dunes Center offers numerous educational programs from community hikes to free afterschool programming to field trips to the dunes. Educating the public is key to the Dunes Center’s mission and is supported by the annual gala. Now that the exhibit has been officially debuted, it can be viewed at the Dunes Center located at 1065 Guadalupe Street in Guadalupe, CA. The museum is open Wednesday-Sunday from 10am to 4pm, and offers free admission to children under 12 along with Guadalupe residents.